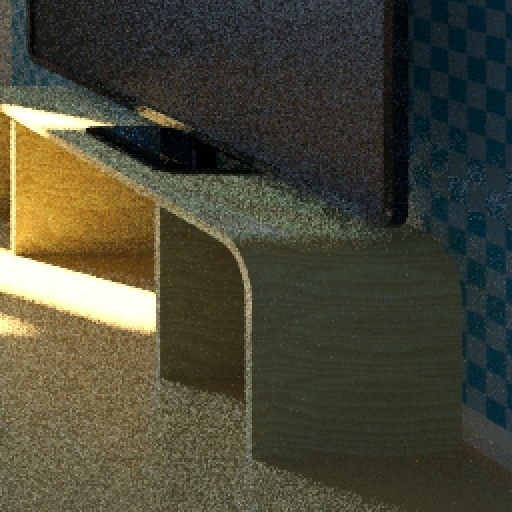 Subtle high-frequency noise is normal for Corona and other path-tracing renderers, especially at the beginning of the rendering process. But strong noise that won't go away after many passes, or after long rendering time, may suggest that the rendering engine encountered some problems in your scene setup. Starting from Corona 1.4 you can use the denoising feature (3ds Max | C4D) to get rid of the noise by smartly blurring it. It is however recommended to make sure that there are no mistakes in the render setup, or the scene itself. This is usually manifested by noise visible only in specific parts of the scene (some objects or some materials). Noise is visible in strongly lit areas, on edges of light spots or shadows, or when light bounces off objects. 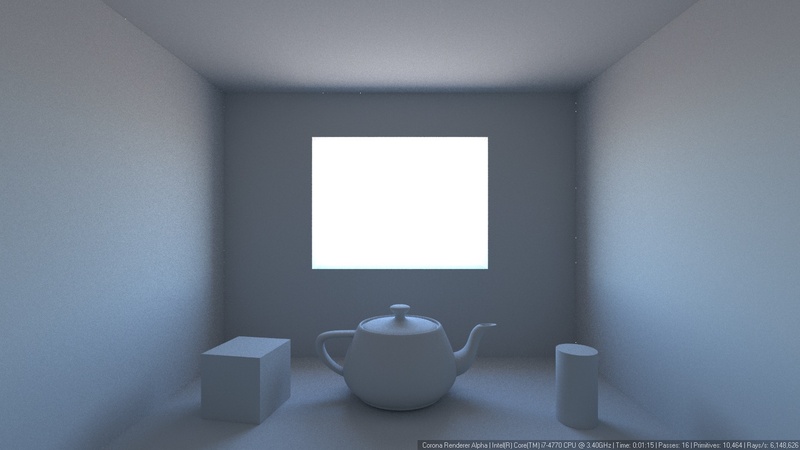 Using many light sources in scene - try to reduce number of lights in your scene or use other lighting technique (for example emitter objects or texture maps). Noise is visible in the whole image or in specific areas like direct light or light bouncing off objects. The New Light Solver is not active. It can greatly reduce the overall noise in an image: What is the new "New light solver" option? Single bright pixels visible in corners of the room or on geometry without thickness. Noise is visible in areas affected by depth of field or motion blur effects. To determine the cause of noise, it may be sometimes useful to enable material overrides. See: How to create clay renders? 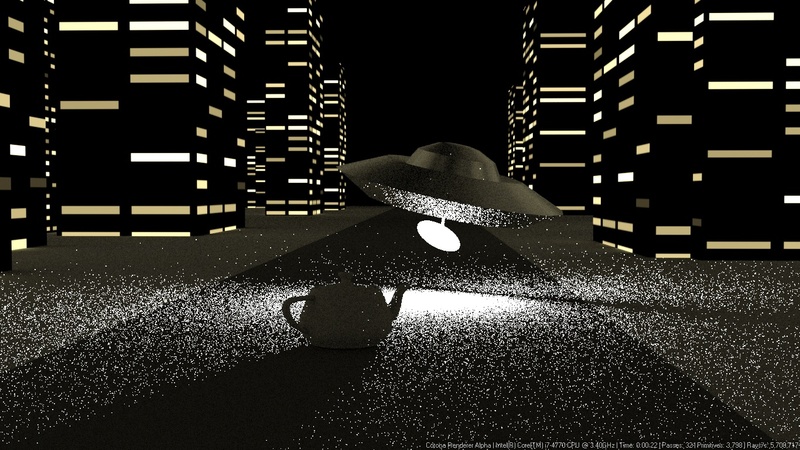 (3ds Max | C4D). 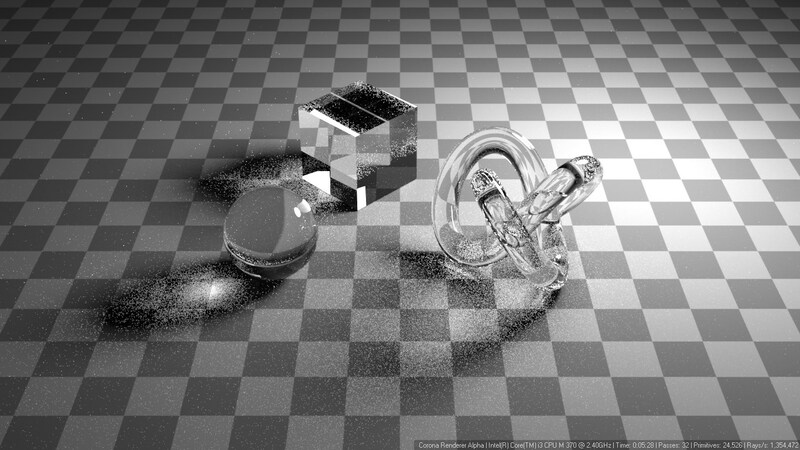 If the noise is still visible after applying the diffuse grey material to all objects, it indicates that most probably it is not caused by scene materials.